The Town Plan and Zoning Commission Monday denied a zone change application for a medical office bulding on Black Rock Turnpike. 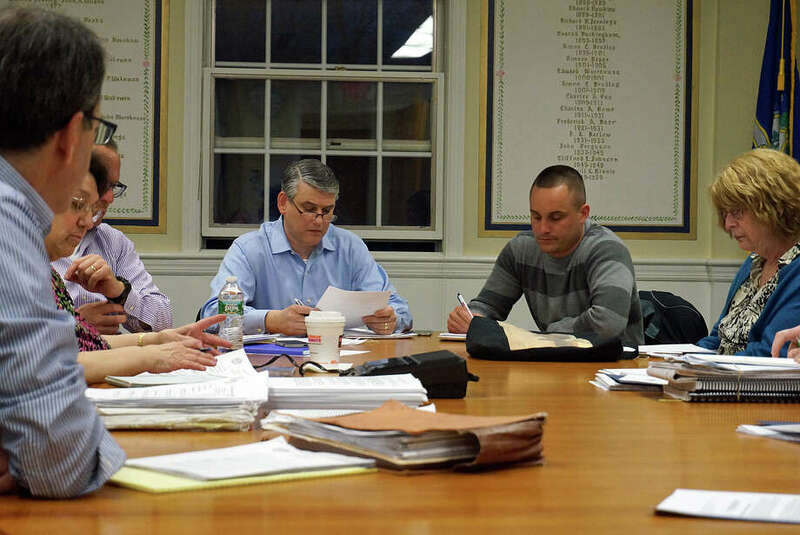 Concerns about potential development on an upper Black Rock Turnpike property led the Town Plan and Zoning Commission on Tuesday to reject an application to build a medical office building on the site now occupied by the blighted Plant Factory. The motion to approve the zone-change application from New Way Associates failed in a 2-5 vote. "I went back and forth on this for a month," TPZ Vice Chairman Gerry Alessi said. "I like the building a lot." The developer's plans called for subdividing the property's nearly 18 acres total, and sought a zone change for 2.28 acres that front on Black Rock Turnpike, across from the Hi-Ho Motel from AAA residential and neighborhood business to designed commercial. The remaining 15 acres would remain zoned AAA residential. Had the zone change been approved, the developer also sought approval for a special permit to build a 25,000-square-foot medical office building on the property. An earlier application to build a larger medical office building, with underground parking, was denied in 2011 by the TPZ. The Plant Factory has been cited for blight after a complaint was filed by Alessi. Alessi said he was hesitant to approve the medical building application not knowing what might be planned for the remaining acreage. "I think it's a great location for a mixed use," he said. Commissioner Seth Baratz agreed. "My main reservation is not knowing," he said. "It was a good application and well presented by the applicant." But Commissioner Jaci Coleman, who along with Anthony Calabrese voted in favor the application, questioned whether it was fair to ask the applicant to commit to plans for the remaining 15 acres when it could be years before anything was done or considered for that segment of the property. "I don't think we have the right to ask that or demand it," Coleman said. "That's really what I struggled with because I think we do," TPZ Chairman Matthew Wagner said. "I don't think we can make the findings we need to if we don't know." Commissioner Jim Kennelly said he saw the application as a step in the process, and said the applicant should sit down with the town's zoning staff and the administration to have a broader discussion on what is envisioned for that section of town. "If there's not a better solution, maybe we can accept it, but it does seem like there's more here to discuss," Kennelly said.